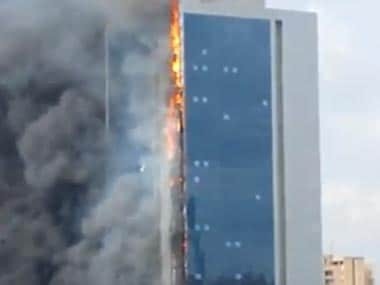 Black smoke rose from the 42-story Polat Towers until firefighters brought it under control. Smoke covered the sky. The building is partly residential and partly occupied by shops and businesses.